The module is well explained, well developed and most important, absolutely very easy to install and use. 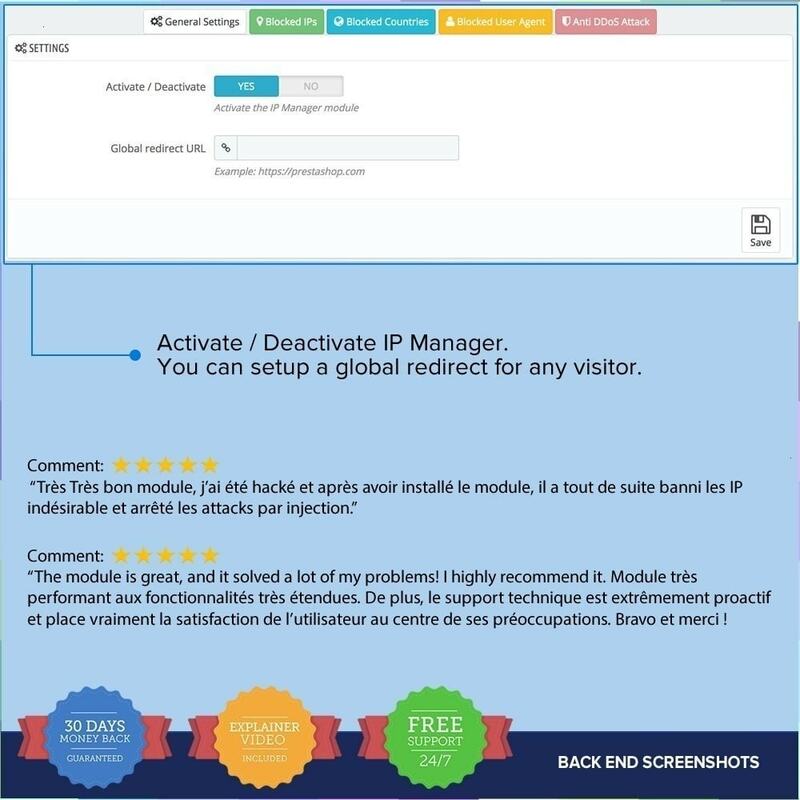 IP Manager is an essential and fair protection tool, because you pay per performance. Increases the security of your store and also gives you the option to select your traffic. 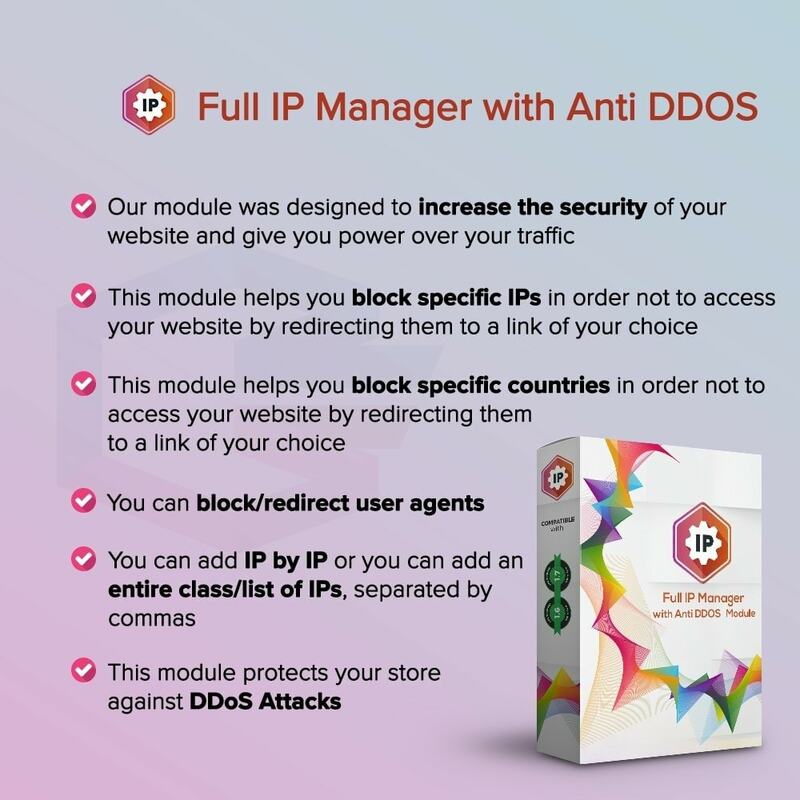 Full IP Manager with Anti DDOS module is easy to install and use. To install, simply upload the zip and start the web based Installation via your Prestashop back-office. Also, we can perform the installation for you, at no cost. 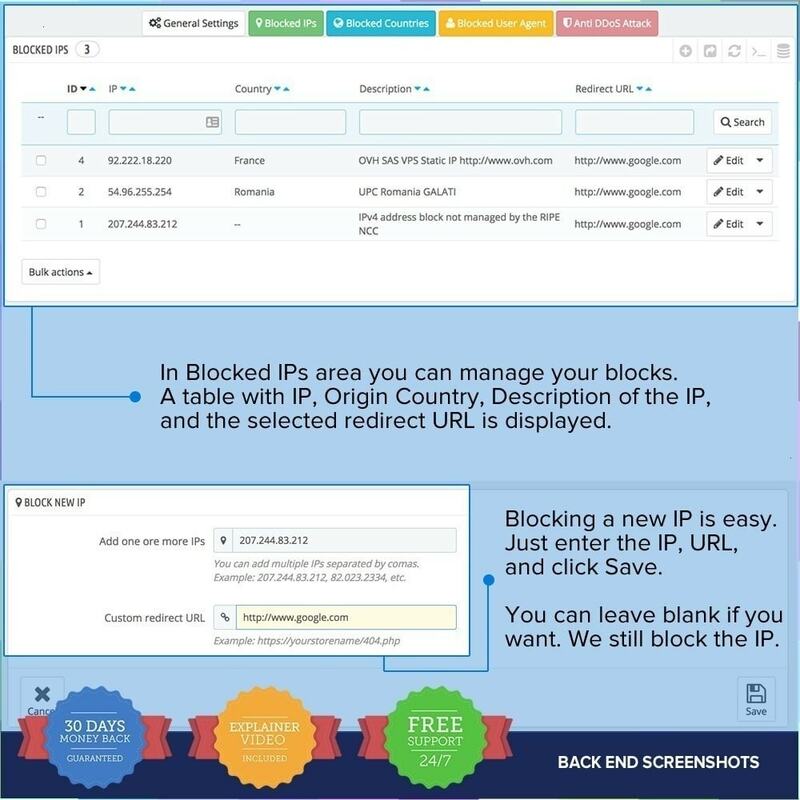 This module helps you block specific IPs in order not to access your website by redirecting them to a link of your choice. You can add IP by IP or you can add an entire class/list of IPs, separated by commas. 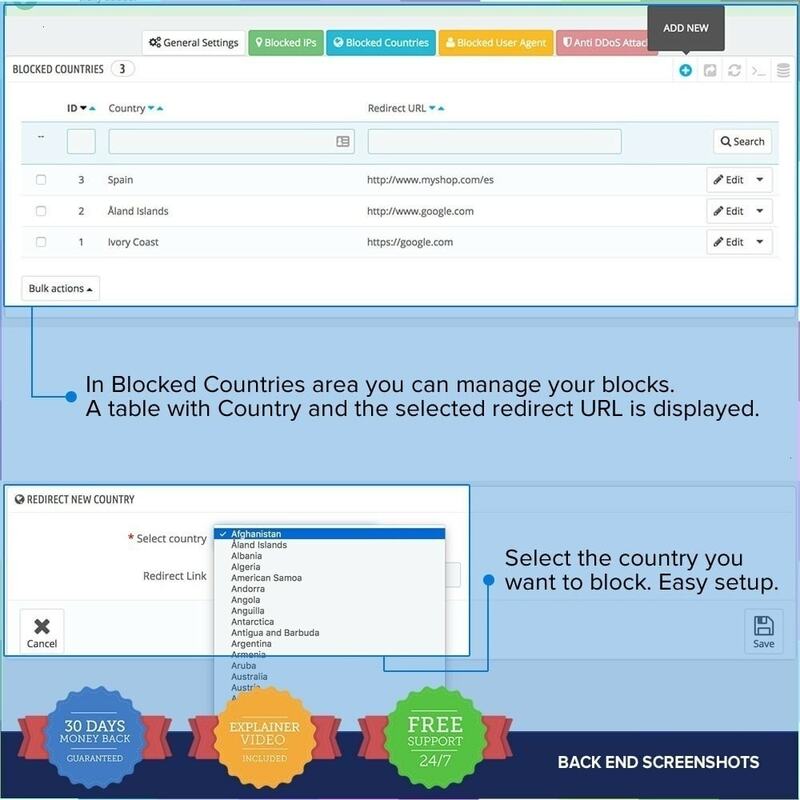 This module helps you block specific countries in order not to access your website by redirecting them to a link of your choice. 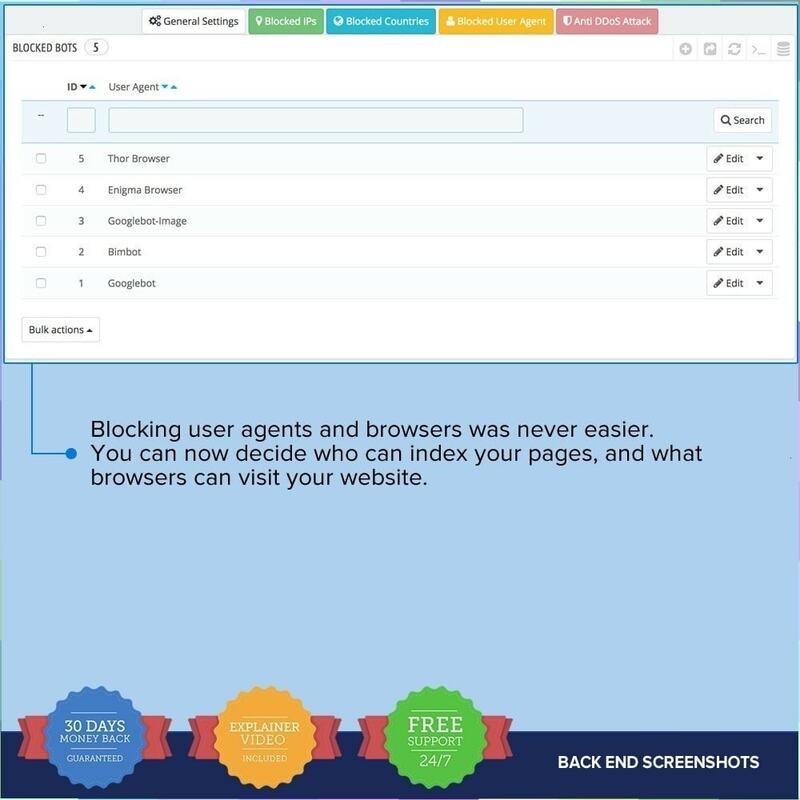 You can block/redirect user agents. - For how long a specific user (IP) is going to be blocked after in breaks the above mentioned rules. 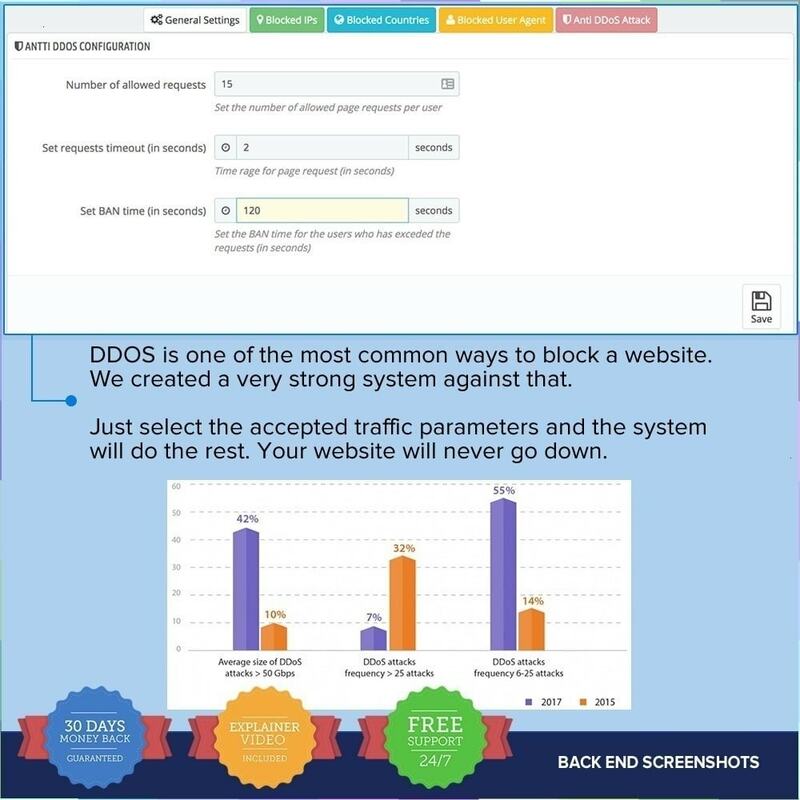 Our module was designed to increase the security of your website and give you power over your traffic.